Would you like to become a contributor to family-oriented and well keyworded Pinterest group boards managed by Abrazo and Coze? To be clear, you aren’t signing up for the regular newsletter. (You’re welcome to subscribe to that one, too, but you’ll have to complete the newsletter form (Find it here). The email list you’re subscribing to is for sending important announcements relevant to your participation as a group board contributor. After you subscribe you will be redirected to a Google Form to fill out some information about your Pinterest profile and website. Once you complete and submit the form I will review your request. I blog part-time, have young children (including one with complex needs), and have a busy life-partner who works full-time in the Canadian Armed Forces and who is frequently required to work extended hours and away from home on multiple business trips each year. Well, depending on what life is throwing at me when you submit your request, the time I require to review and confirm the details you provide in your application might take longer or shorter than you might expect. My goal is one week. I appreciate your patience and grace if I take longer. And feel free to celebrate on my behalf if it happens much faster because it means life is gently handing me a cold glass of lemonade rather than chucking lemons at me like I’m in the midst of a sour game of dodgeball. Please note, approval to my boards requires you own your own website. After subscribing, you will also receive a confirmation email. Ensure you complete the email confirmation, otherwise, you won’t be considered as a group board contributor. Once you confirm, you’ll be sent the board rules. I don’t expect to contact you very frequently, so be sure to follow the directions in the Board Rules email to add me as a contact. You don’t want to miss those rare but important messages that are relevant to your participation as a group board contributor. Of course, you can unsubscribe at any time. However, that said, it would be wiser to stay on the list. If you leave, you might end up missing some random announcement to a rule change. If that happens, and you start breaking the new rule(s), you’ll end up being removed as a contributor. I don’t want that to happen, so please don’t unsubscribe. I look forward to getting to know you through Pinterest! 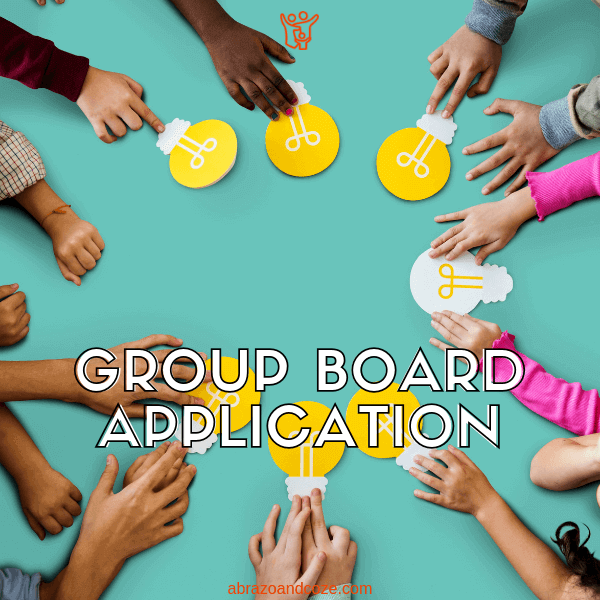 Enter your name and email to get instant access to apply to all of the Abrazo and Coze group boards. NOTE: If the Contributor Sign Up Form isn’t showing, the Abrazo and Coze group boards are not currently open to new contributors. Check back again in a month.